Sean Lite is a clean yet bold design, allowing your articles and images to do the real talking. 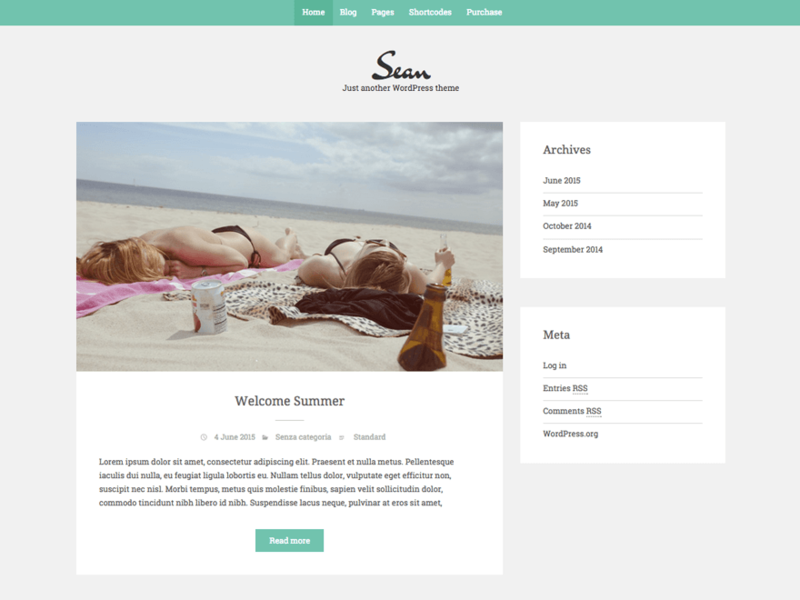 With a fully responsive layout, Sean Lite is a perfect WordPress theme to manage your personal, lifestyle, travel, food, recipes, fashion blog or tumblelog. Inspired by the Bootstrap framework, Sean Lite is fully optimized for mobile devices.